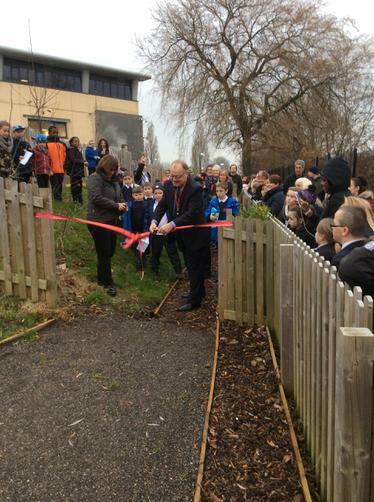 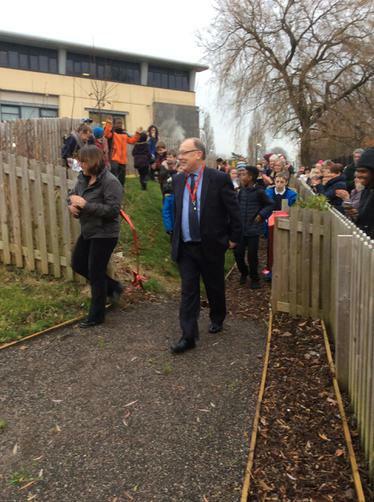 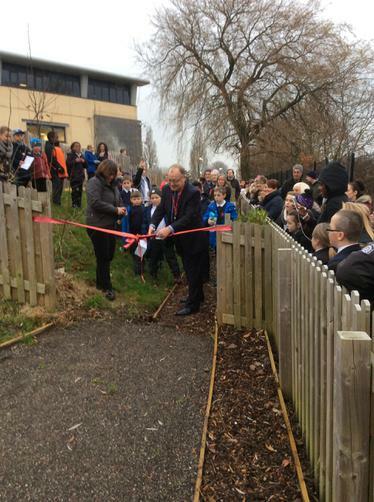 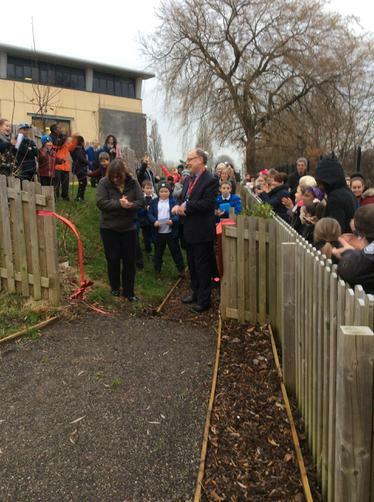 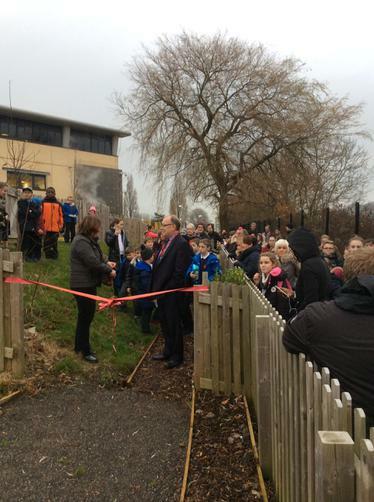 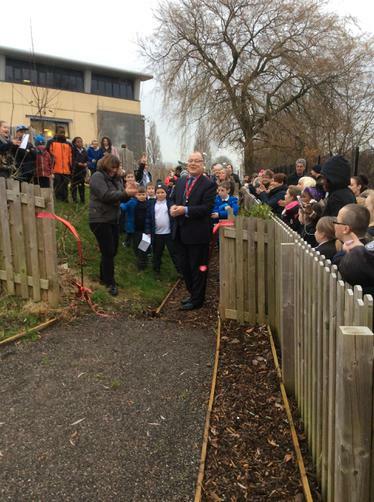 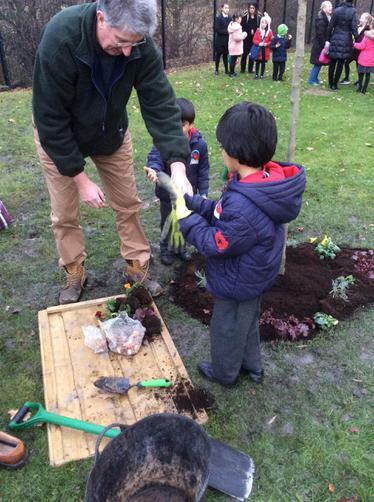 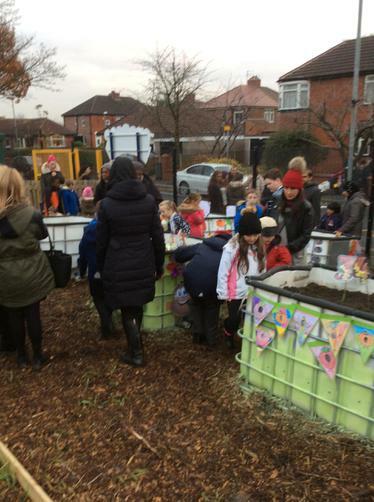 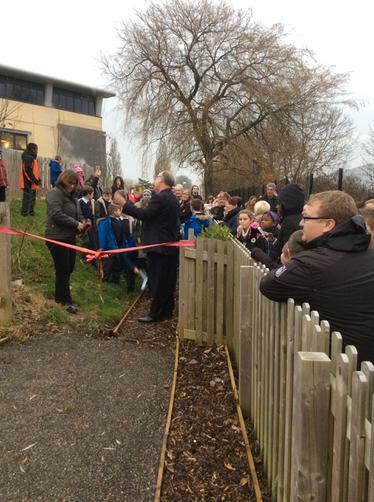 Today school welcomed Mr Peden to school to officially open the school allotment. 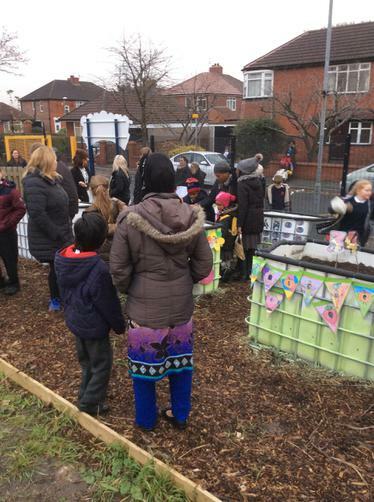 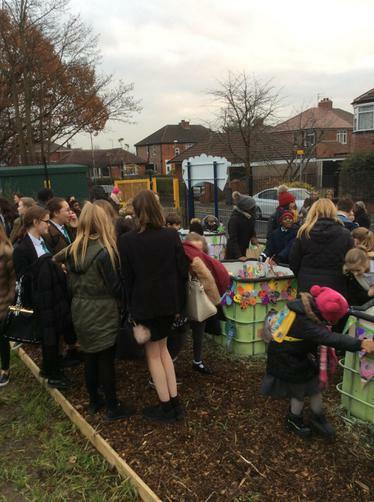 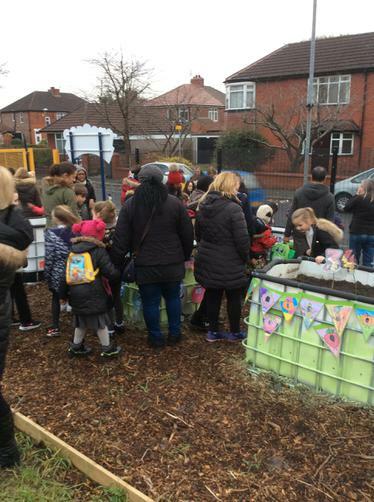 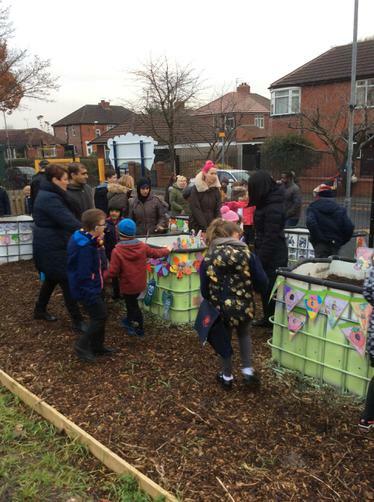 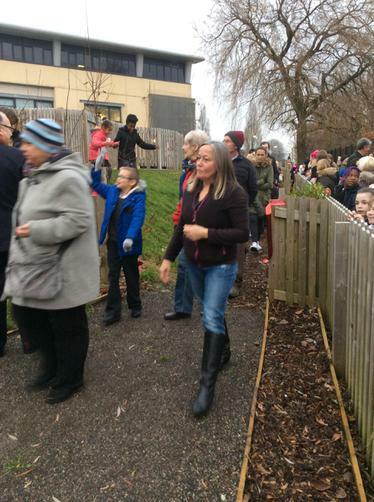 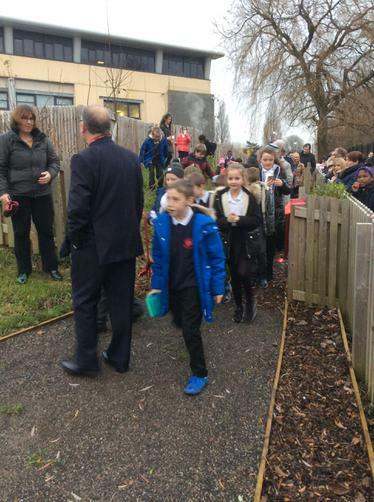 He was welcomed by staff, parents and children who were eager to show him the work we have all undertaken to make the allotment so colourful over the winter. 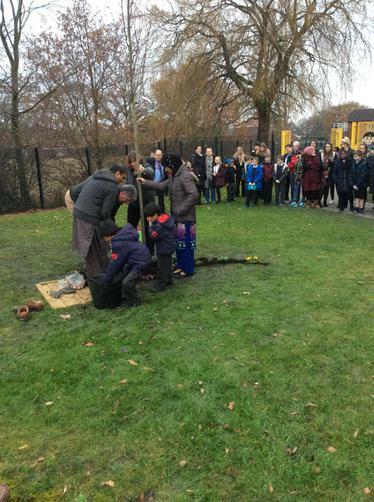 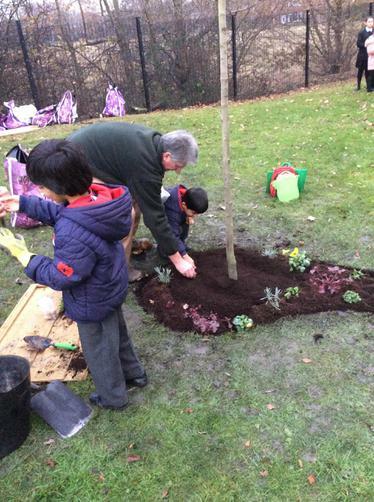 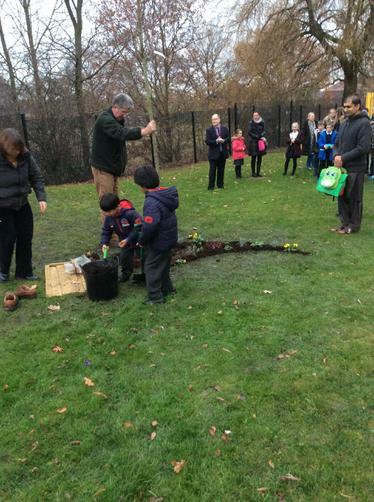 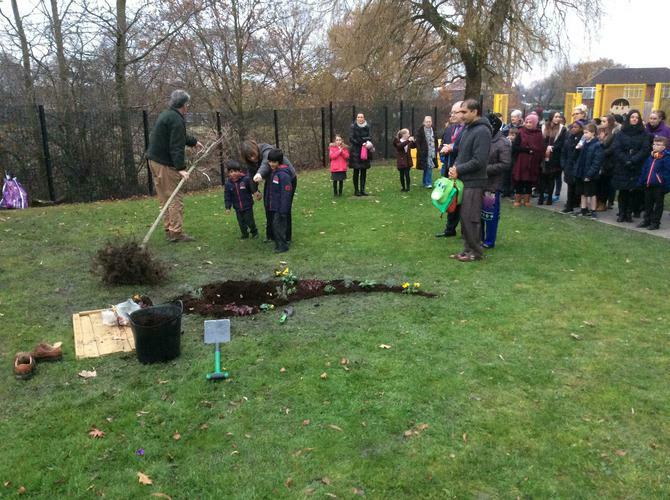 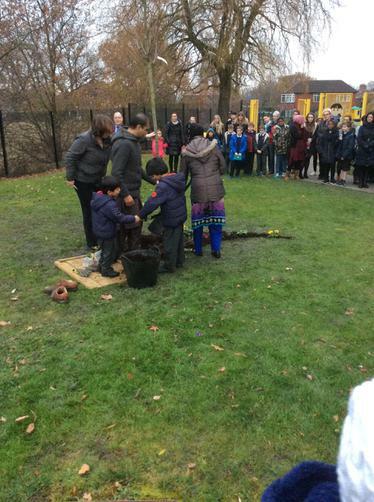 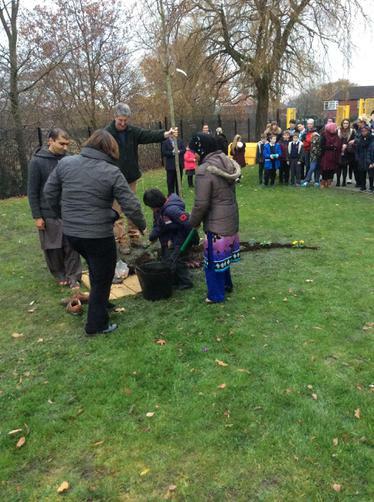 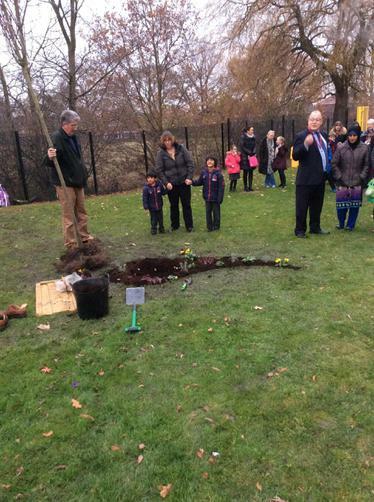 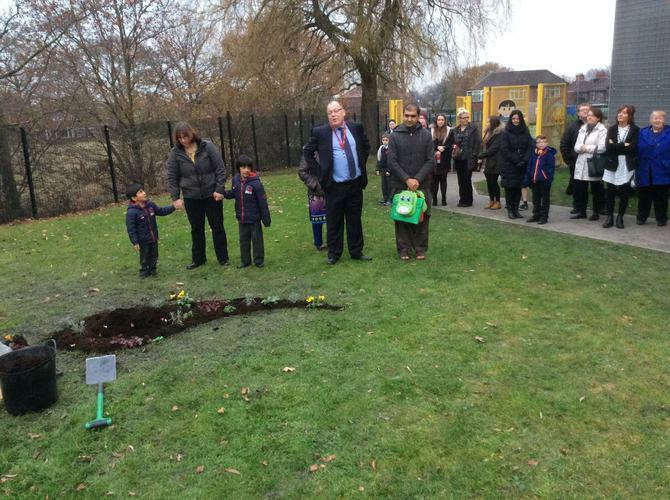 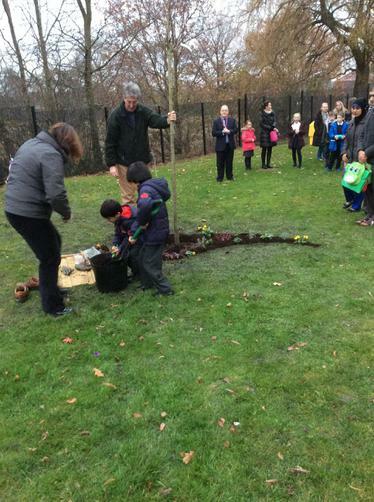 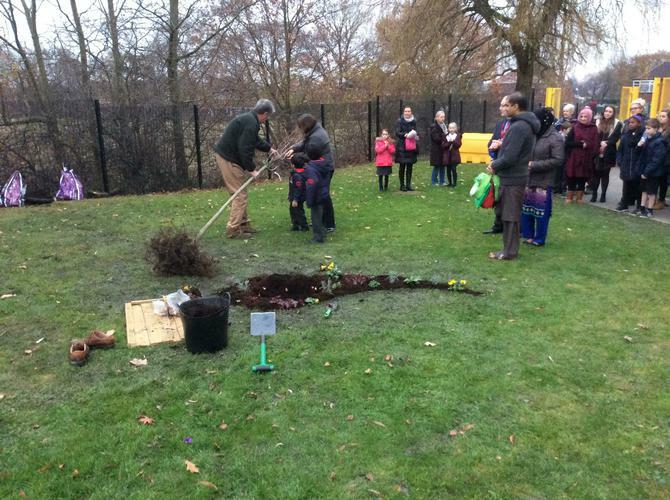 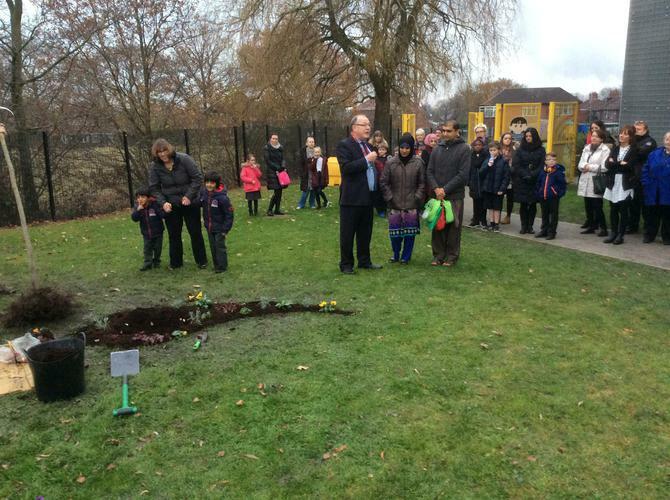 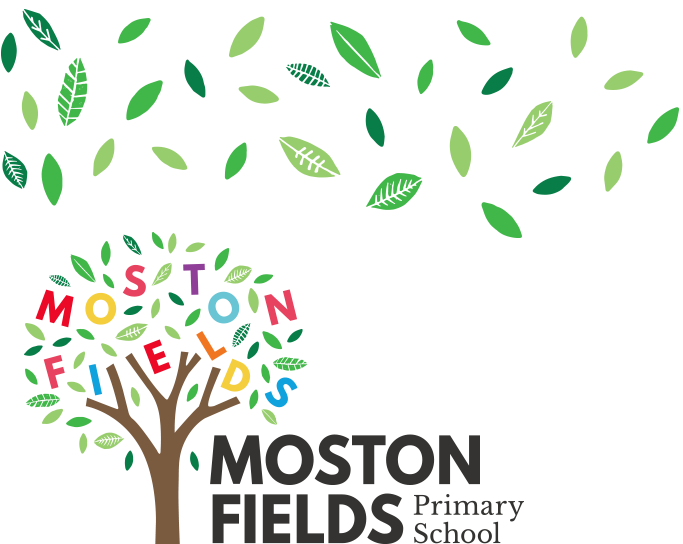 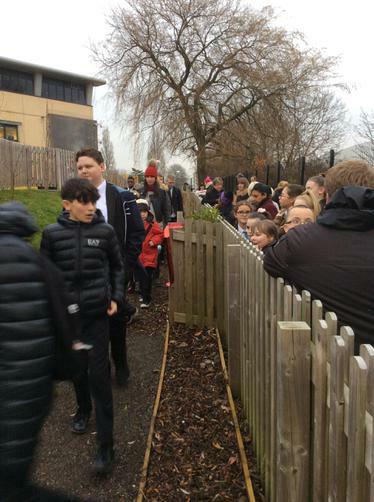 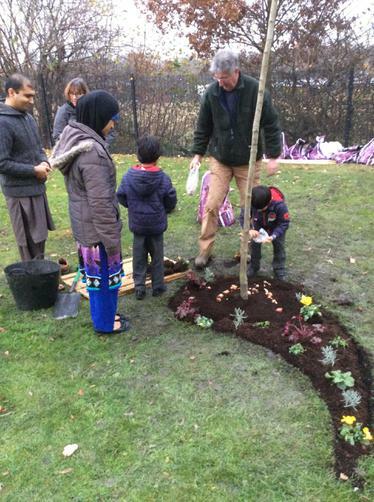 We were pleased to see so many year 7 and 8 pupils who had returned to support Mr and Mrs Iqbal, Sufyan and Afnan who were planting a tree in memory of their son, Yousaf, who sadly passed away last year. 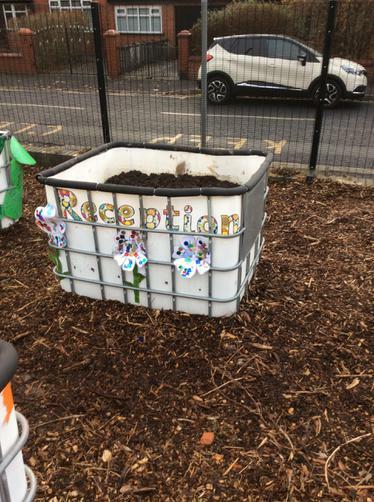 We would like to thank the Groundwork staff, Robert a member of the school community and Jacquie a member of staff who have worked hard to make our allotment such a wonderful place. 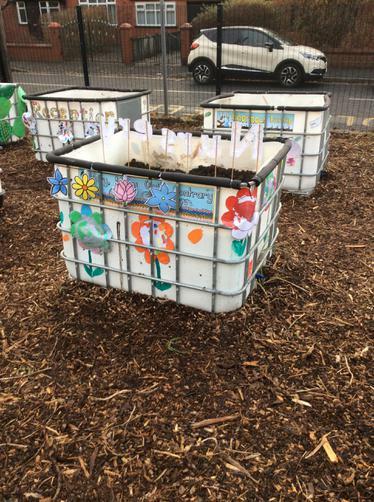 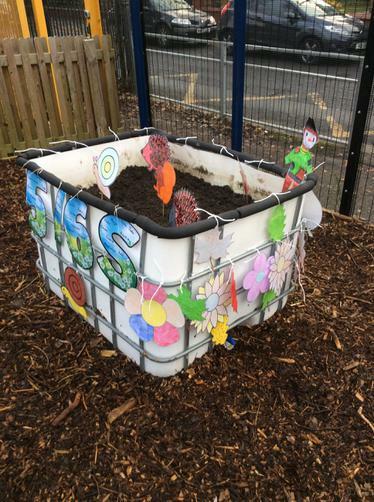 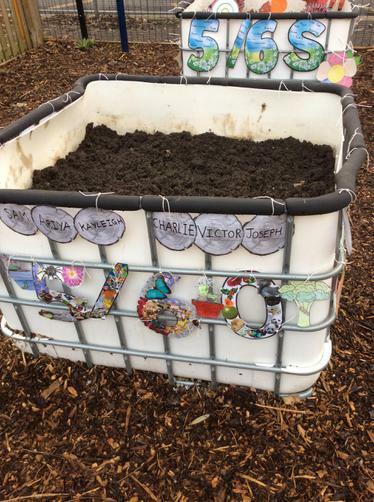 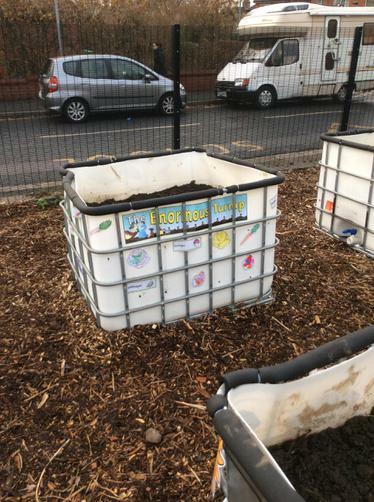 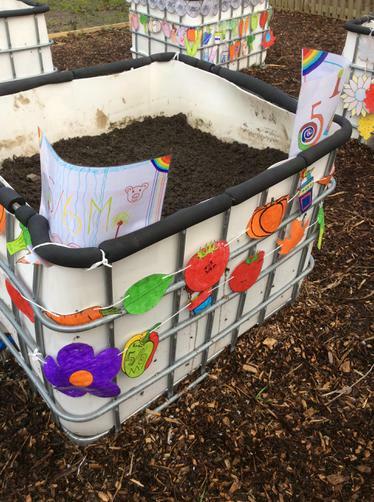 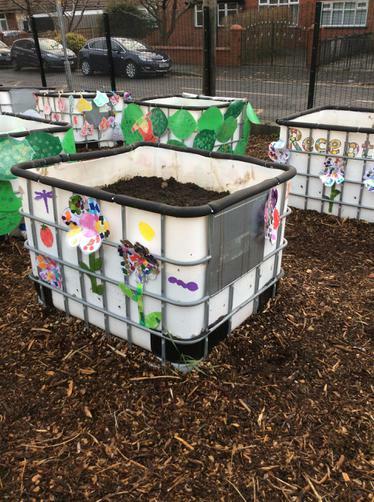 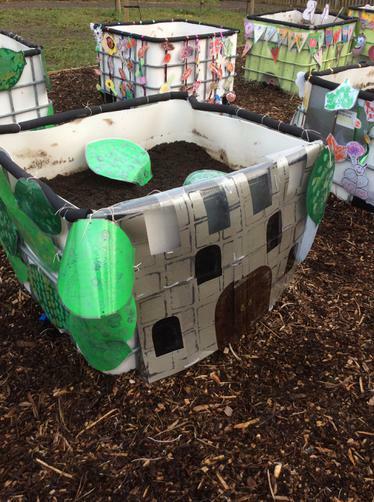 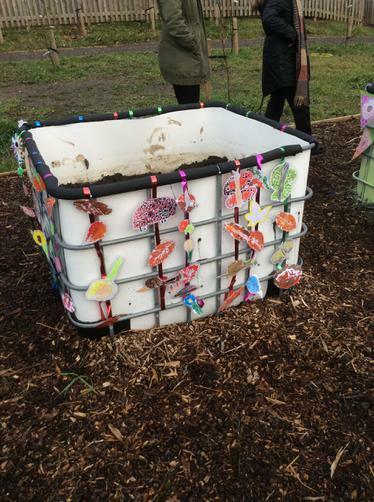 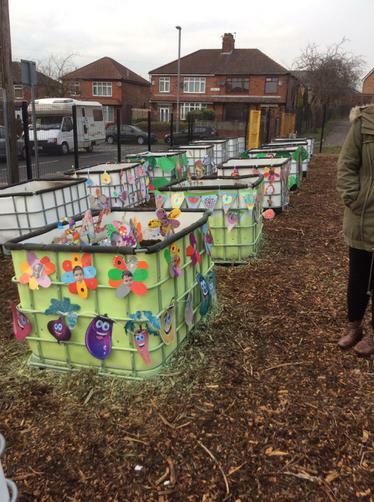 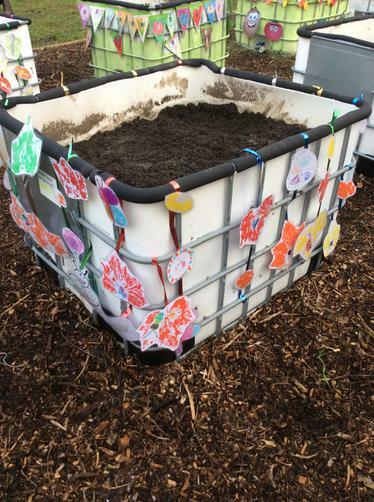 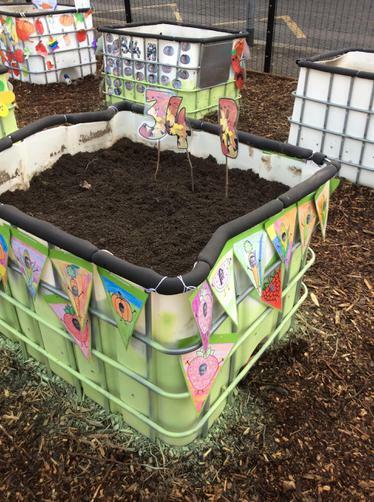 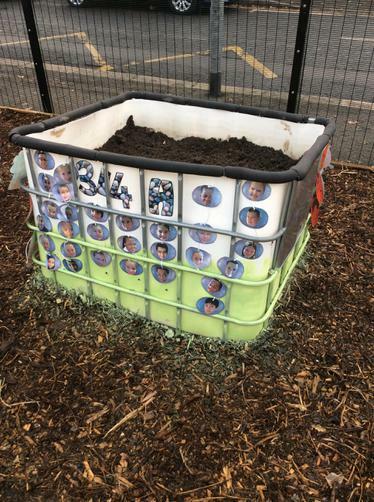 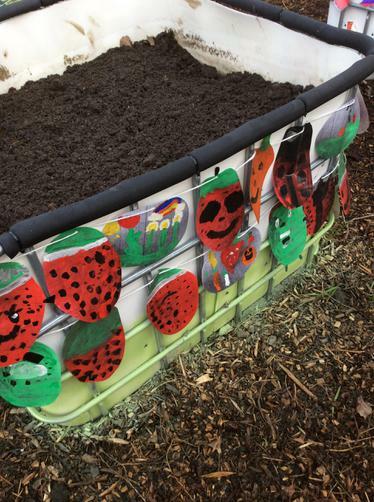 The children and staff have worked hard over the past few weeks to decorate their growing pods and we all look forward to see what we can grow in the spring!